A marriage is just not happily ever after. You probably know that quite well by now. And you also know that you have to keep working at your relationship. So when you know that you have messed up and are feeling bad, then say it. Yes! Go ahead and say it. 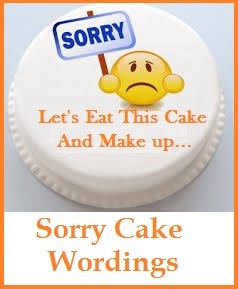 Express your apology before the situation goes out of hand. Here are a couple of sorry messages for husband that can really be of great help to you. 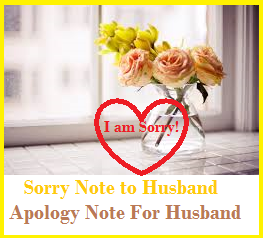 Read on to find the perfect I am sorry message for husband. I am really sorry for spoiling our little vacation by being so demanding. I should have just stopped fretting. I am really sorry darling. I am sorry for being so careless. Can you please forgive me sweetheart? I am sorry for hurting your feelings. Although that was the last thing on my mind. Please believe me I am truly sorry. I let you down and I am sorry for that. You are my husband and my best friend. I don’t want to lose either. I want your love and attention baby. I just want you to know that I miss you and I love and that I’ll never do it again. I am really sorry. My dearest, I know that we always fight and make up, stronger than ever. But this time I seemed to have really goofed up. I have this terrible knot in my stomach. And it makes me feel better just to say I am sorry. I’d feel really good if you forgive me (like you do every time). Will you please? I miss your pampering and what’s a sorry for such a handsome dude. I’m sorry. And I want you back here. I have been in such a bad mood that I wouldn’t tolerate myself. I don’t know how you managed to put up with me. I am so sorry dear. My dear, I just read your apology note. And I just want you to know that it’s not you who should apologize. It’s all my fault, my arrogance and my sheer stupidity. Please forgive me? Do you want to know how sorry I am for being so rude? Well, I’ve cancelled my shopping trip! Just to be with you and see that marvelous smile of yours. Forgive me? Please be back to your loving self. I can’t live like this. Please. I am sorry. I am so sorry for being so foolish. I’m just not as wise as you are though I’m learning. Still a long way to go. Won’t you forgive me? I have been acting so silly of late that I just can’t put up with myself. How have you been putting up with me for so many years? Kudos to you and brickbats to me for being utterly foolish. I am sorry. It’s so difficult to say sorry. How do you manage to always say it? But darling. I am really sorry. It’s all my fault. I am heartbroken without you. Things just aren’t the same. I miss everything. And I don’t like anything. Please forgive me for being so rude. I want us to be happy ever after again. And you’re my happily ever after. A lifetime is a long journey for two married couples. Fights and misunderstandings happen. When offenses happen, apology must be made to keep the relationship going. 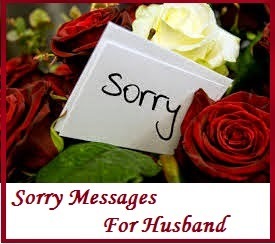 If you are out of words, here are some sample sorry messages for husbands that you can use. These days have been really gloomy. I know it was my fault. I am so sorry for what I have done to you. It was such a selfish act and I am regretting what I did. I hope we can work things out between us again. I humbly ask for your forgiveness. We may not be together anymore. But in my heart you will remain my one and only husband. I am sorry that things did not work out for us. Maybe time will tell when wounds will heal. If that time comes, I hope we both are ready. I am sorry that my cooking was bland, the house not as clean as you wanted to be, the clothes are not washed immediately. But that’s the most I can do. Please say so if you can’t take it anymore and I will recommend a good house maid. Sorry not sorry. I know a simple sorry won’t bring you back to me, but still I want you to know how regretful I am for what I did. It broke your back and now I came to understand why. If you find it in your heart to forgive me, I will do what I can to make things normal again…Will you give me another chance? It’s about time you should know. I have done something bad that you must know as soon as you get home. I am saying sorry in advance. I am ready for whatever decision you must make. I ask for your forgiveness. I am sorry for broadcasting our fight on facebook. I keep seeing my married friends do it and I thought it was acceptable. Now I realize what a shameful thing I did to embarrass you on social media. It won’t happen again. I hope you will forgive me. Sorry if I broke my promise. You have waited this long and yet I still cannot be with you as agreed upon. The situation here is really bad and I cannot just leave because my work is at stake. Please understand and I hope you will continue to take care of the kids while I’m away. I’ve said it before and I will say it again even if you won’t believe me anymore. I am sorry for all the pain I have caused you. I pour out my heart and soul to say how regretful I am for my actions. I hope in time you will be able to forgive me. I love you. I know that an apology will not immediately heal your pain but for a start let me make things right again. I am truly sorry. I hope and pray to God that you will forgive me. Sorry for what I did to you. I am asking for your forgiveness. If at first I don’t succeed, I will try and try again until you find it in your heart to forgive me. I promise not to do it again. Can I please come in now? I am sorry if I keep calling you at work. I am sorry if I keep asking where you are. I am sorry if I can’t get you out of my mind today. I just want you to be the first to know directly from me that we’re going to have a baby. I love you. Is there something I can do to make you listen to me again? I am so sorry for the lies I have said. No amount of reason can justify what I have done. I have learned my lesson and I won’t do it again. I hope you will understand how much it means to me to protect our marriage. Can you still forgive me? All these years, my heart has never stopped beating for you. I miss you every night even if my mind says otherwise. I am sorry if I had to leave you then. Someday, I hope we can still see eye to eye and perhaps continue this marriage that we have started. No man can understand me the way you do and no woman will be as honest as I am with you. I am sorry if my honesty offends you. We still have a lifetime to share. I will do what I can to adjust. I hope you can forgive me. I am sorry for being fat. Hormones have made me this way now. If it does not please you, just turn off the lights. You’re not as handsome as you used to either. Let’s live with what we have. Your husband is probably the most of the most important person in your life. With you every step of the way, supporting you no matter what and doing things just so you could be happy. If you have been rude to your husband then know that men don’t show their emotions easily. He might have showed that he is okay but he might have felt bad in inside. The best way to deal with this situation is to tell him that you are really sorry and make up for it. 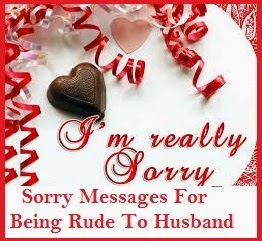 Here are some sample sorry messages for Husband for being rude with him. 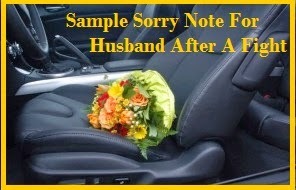 Read on to find the perfect heartfelt sorry message for your husband. You are my rock, you are my life, you are my everything and I feel so guilty for the way I behaved with you. It wasn’t right for me to do that. I am so sorry. 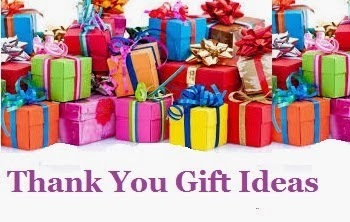 I know I have upset you and to make you feel better, I am willing to do everything…if you know what I mean! I know I have hurt you but know that by hurting you I have hurt myself more. I am so sorry foe everything. Please forgive me? I know I have angered you over the way I was behaving with you. I do know what had gotten into me. Forgive me and let me make it up to you? I will cook you all the dishes you like. I am sorry for hurting you so bad. I now realize I was wrong and I apologize for everything I did. I am sorry I have made such a huge mistake. I caused you so much pain but I know that our relationship is much stronger than everything. Please forgive me and let me make everything better for you. You know what? I now know that I can never be happy until and unless you are happy. So, I will do anything and everything to make up for hurting you this way. I am sorry! I promise to never talk to you the way I did yesterday. I promise to never be rude to you. I promise to make you feel loved and cherished everyday because that is how I really feel about you. If you forget everything that happened then I promise I will give make it up to you with a special romantic surprise. Consider it my way of saying sorry to you. I love you, you know that! I am sorry I was shortsighted and could not see how my words will hurt you. Now that I have said all those things to you I feel so awful about it. Please forgive me. Please? Loving you is the easiest thing ever but hurting you is the hardest thing in this entire world. I want to make you feel loved. I am so sorry. Never in my right mind would I have thought of saying those things to you and insulting you. Please forgive me? I am really sorry.